You can download this issue of Monitor as a pdf file from https://www.windmill.co.uk/monitor/monitor231.pdf. * Which Range and Resolution to Choose? An input range may be bipolar, covering a range from -10 mV to +10 mV for example; or unipolar, perhaps covering a range of 0 to 10 mV. Most A-D converters have an actual range of 0 to 10 V, so an input signal with a range of 0 to 10 mV needs to be amplified by a gain of 1000 before it can be converted. Many systems offer a choice of ranges, and you can select the most appropriate using software like Windmill. "We have several connectors all using a rs232 connector to get data from the devices we support. At the moment all devices use manufacturer specific software to retrieve this data and all are outdated and do not work on Windows 10. Does your software work on Windows 10 64-bits? We need to connect those RS232 devices to a USB port of the new PC. Which hardware would you recommend to make that connection?" Yes, Windmill software works on Windows 10 64-bits. You can use most types of RS232-USB converters, as long as they have an option to continually provide data rather than buffering it. This will colour temperatures less than 0 oC blue, temperatures above 30 oC red and other temperatures black. The colours you can choose from are: cyan, green, black, blue, magenta, red, white or yellow. The "oC" specifies that oC is added after every data value. The 0.# will show the data to 1 decimal place, with a leading zero if necessary. You could achieve something similar with the Conditional Formatting box, but this way gives you more options. 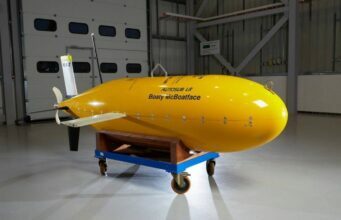 Sensors that are compatible with autonomous underwater systems such as NOC's autosub Boaty McBoatface will be able to perform a variety of functions at sea, helping answer questions about our changing oceans. Electronic circuits reveal when a plant begins to experience drought conditions. How fast is that plant pulling carbon dioxide out of the atmosphere? You may soon be able to point a sensor at it to find out. UK researchers have used bacteria as a solar-harvesting ink to print paper-based disposable biosensors.